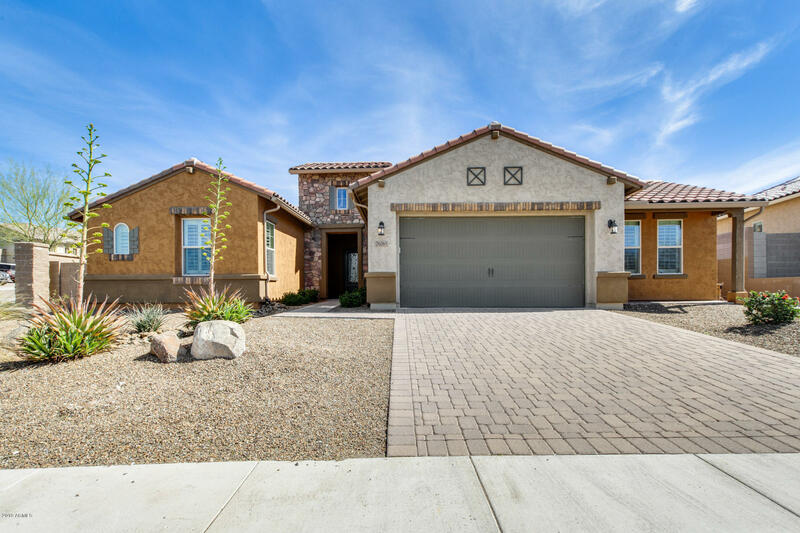 All TIERRA DEL RIO PARCEL 23 homes currently listed for sale in Peoria as of 04/23/2019 are shown below. You can change the search criteria at any time by pressing the 'Change Search' button below. 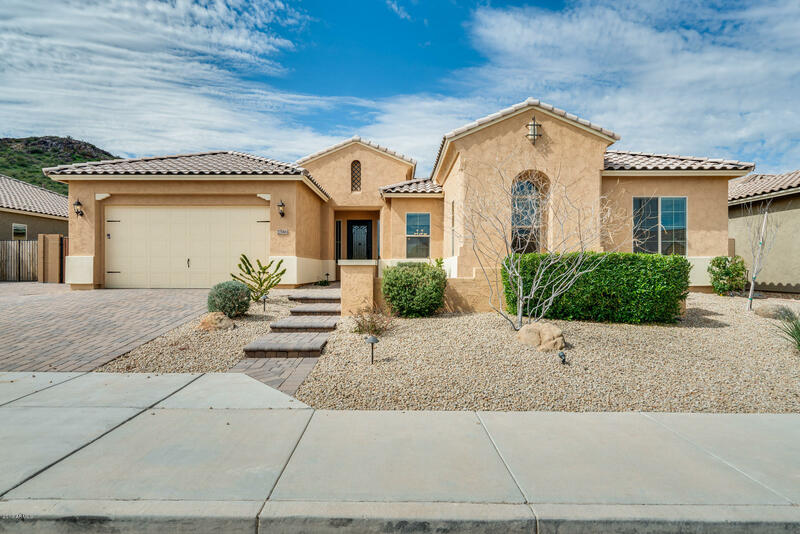 "Beautiful single story home that features over 3800 sq feet of living space and a huge lot complete with a pool play area and low maintenance yard. As you enter the home you will see a beautiful double entry way complete with a private courtyard and gorgeous iron door. Inside you will notice upgrades in every room including 16 ft tall ceilings in the formal living/den and 10 ft ceilings throughout, upgraded tile and carpet and custom paint throughout. The kitchen features upgraded stainless stee"
"Remarkable move-in ready 4 bed, 3.5 bath home located in ever-growing Peoria! The tall 12-foot ceilings enhance the living space. The living room and kitchen overlook one another making it easy to converse with your friends! Your oversized kitchen has all the bells and whistles you have been looking for. White cabinets with crown molding, granite counters, a spacious island with a breakfast bar, and a walk-in pantry! 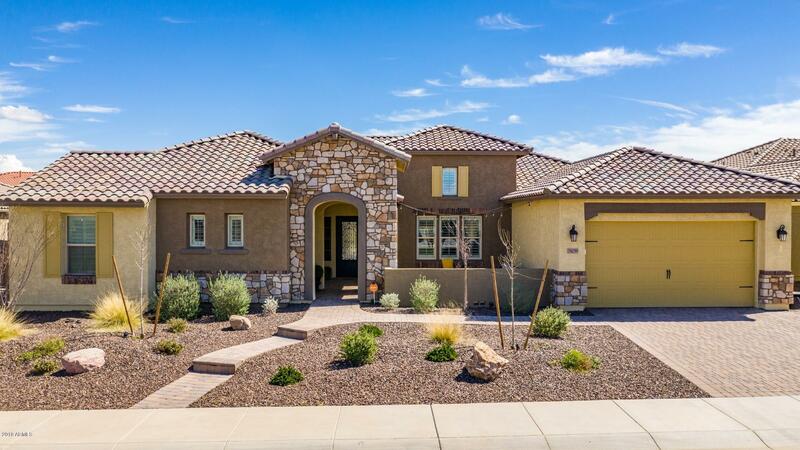 Your master suite is complete with separate vanities, a large garden tub, a sna"
"Astounding 4 bed, 3.5 bath home in the family-friendly community of Tierra Del Rio! You are walking distance to hiking trails and stunning mountain views! This home has all the bells and whistles; including stylish 18'' tile floors, an open office/den and modern finishes everywhere you look! Inside you will find a lovely formal dining room that is perfect for hosting large dinner parties for friends and family. The great room layout creates an open feel, making conversing with family while prepa"